Αναρτήθηκε από Roadhouse Blues Club στις 1:54 π.μ. What's up, I log on to your blog regularly. Your writing style is witty, keep doing what you're doing! 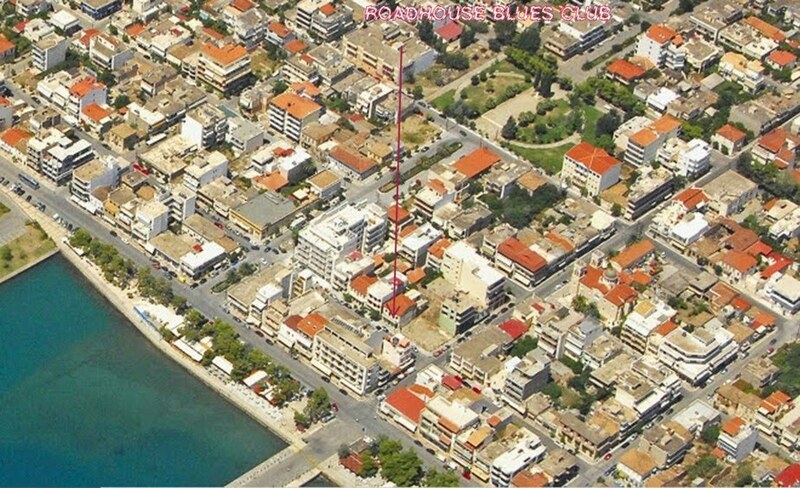 21 Δεκεμβρίου 2012 - 5:51 μ.μ. Good way of describing, and fastidious piece of writing to get facts regarding my presentation focus, which i am going to present in academy. 21 Δεκεμβρίου 2012 - 6:18 μ.μ. I'm gone to inform my little brother, that he should also pay a visit this webpage on regular basis to obtain updated from hottest news update. 21 Δεκεμβρίου 2012 - 7:51 μ.μ. 21 Δεκεμβρίου 2012 - 8:32 μ.μ. Instead of psychopaths, couple of narcissists are criminals. check out and white depth. http://www.airmax90s2013. 24 Φεβρουαρίου 2013 - 7:45 μ.μ. But he's tryiong none the less. I've been using WordPress on a number of websites for about a year and am worried about switching to another platform. 23 Απριλίου 2013 - 12:50 π.μ. 29 Απριλίου 2013 - 6:42 μ.μ. to shoot you an email. I've got some suggestions for your blog you might be interested in hearing. Either way, great website and I look forward to seeing it improve over time. 29 Απριλίου 2013 - 9:37 μ.μ. Great goods from you, man. I have understand your stuff previous to and you're just extremely wonderful. I really like what you have acquired here, certainly like what you are stating and the way in which you say it. You make it entertaining and you still care for to keep it sensible. I can not wait to read much more from you. This is really a tremendous website. 29 Απριλίου 2013 - 9:42 μ.μ. 1 Μαΐου 2013 - 2:51 π.μ. 4 Μαΐου 2013 - 3:21 μ.μ. person's weblog link on your page at proper place and other person will also do similar for you. 13 Μαΐου 2013 - 4:31 π.μ. Hi there to all, it's genuinely a nice for me to pay a visit this website, it consists of priceless Information. 16 Μαΐου 2013 - 6:53 μ.μ. Hi there to every one, it's truly a good for me to pay a visit this website, it consists of precious Information. 18 Μαΐου 2013 - 3:22 π.μ. I'm not sure where you are getting your info, but good topic. I needs to spend some time learning more or understanding more. Thanks for great information I was looking for this info for my mission. 19 Μαΐου 2013 - 12:26 π.μ. 23 Μαΐου 2013 - 7:48 μ.μ. 24 Μαΐου 2013 - 10:48 μ.μ. and UGG shoes, it is possible to match your mood as well as your clothes. deal of people won't want to use them ahead of time of. 25 Μαΐου 2013 - 8:11 π.μ. 26 Μαΐου 2013 - 11:18 μ.μ. What's up, always i used to check website posts here in the early hours in the daylight, because i love to gain knowledge of more and more. 27 Μαΐου 2013 - 6:33 μ.μ. 27 Μαΐου 2013 - 8:35 μ.μ. 27 Μαΐου 2013 - 11:23 μ.μ. I've joined your rss feed and look forward to seeking more of your magnificent post. Also, I've shared your web site in my social networks! 28 Μαΐου 2013 - 2:59 π.μ. 28 Μαΐου 2013 - 4:41 μ.μ. 28 Μαΐου 2013 - 11:51 μ.μ. 1 Ιουνίου 2013 - 10:34 π.μ. 1 Ιουνίου 2013 - 7:45 μ.μ.